New South Wales Greens candidate for Clarence, Greg Clancy, has welcomed Shooters, Fishers and Farmers candidate Steve Cansdell’s opposition to any mining at Cangai. 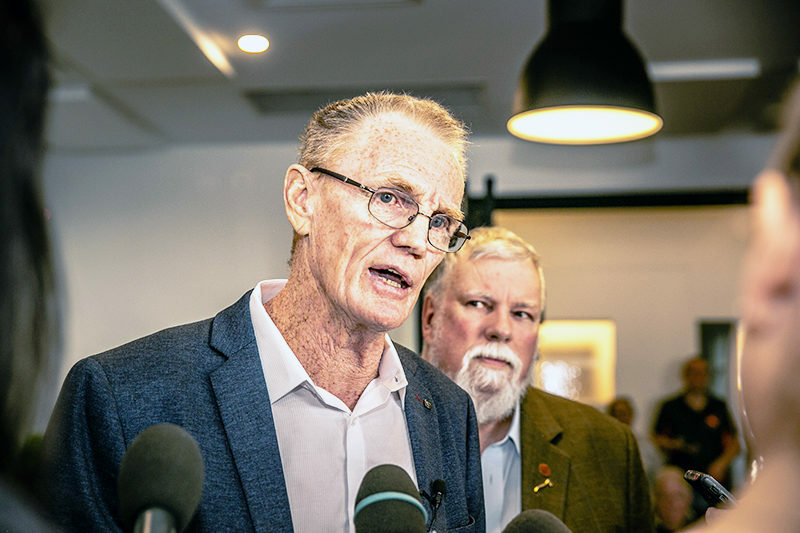 Mr Clancy responded with a statement to a story in last week’s Independent, ‘Mining for votes’in which Mr Cansdell challenged Country Labor candidate Trent Gilbert and incumbent National’s MP Chris Gulaptis, to join him in opposing the proposed mine. “It is good that Steve and I can put aside our differences to work together to combat this insidious threat to our river,” Mr Clancy wrote. “The Clarence Greens have opposed this mine since being alerted to the exploration activities by local residents and we have received a large amount of support from the community since holding two public meetings. “Chris Gulaptis has agreed to meet with members of the Clarence Valley community group calling themselves ‘Stop Cangai Mine’, to hear their concerns sometime in February. In last week’s Independent, Mr Gilbert and Mr Gulaptis made statements regarding the perceived environmental dangers the mine would pose, however, neither man declared his opposition to future mining at the site.